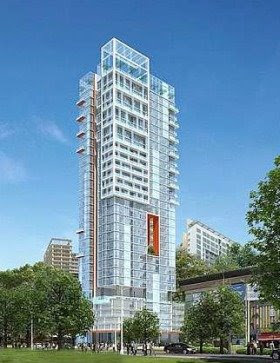 Artist’s impression of OSK Property’s condominium project in Jalan Yap Kwan Seng, Kuala Lumpur. OSK Property Holdings Bhd has lined up a few residential property and commercial projects worth RM200mil for launch in the Klang Valley, Seremban and Sungei Petani this year. For the current financial year ending Dec 31, the company hopes to clinch sales of between RM120mil and RM130mil. Last year, it launched RM180mil worth of properties and recorded sales of RM153mil. 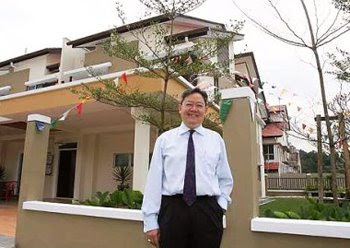 OSK Property executive director and chief operating officer Gerard Tan says that amid the current market slowdown, house buyers comprise mainly owner occupiers who are looking to upgrade into more prestigious addresses. “Developers have lowered their profit margin from 25% to 30% previously to about 20% now and it is certainly a good time to buy property for their good value. The onus is on developers to ensure their projects are properly planned and meet the needs of the buyers,” he tells StarBizweek. OSK Property’s latest project in the Klang Valley is the 100-acre Sutera Damansara in Bandar Sri Damansara, Petaling Jaya. Scheduled for launch around March for completion in seven years, the project comprises 617 landed residences, 936 apartments and 24 shop houses with a total gross development value (GDV) of RM800mil. Tan says only 80 acres of the 100-acre project will be developed initially and the remaining 20 acres, for high-rise dwellings, will be undertaken after five years. The initial phase will comprise terrace houses of around 2,305 sq ft priced from RM478,000. Since the project’s soft launch last month, RM52mil sales have been recorded. In Kuala Lumpur, OSK Property is looking to launch a high-end condominium project in Jalan Yap Kwan Seng in October. The 108 condominiums, ranging from 703 sq ft to 4,152 sq ft, would be priced from RM1,000 per sq ft. The project with GDV of RM150mil is targeted for completion in three years. The company also owns a 0.65-acre plot in Jalan Raja Abdullah and hopes to tie up with the adjoining land owner to develop the land into a condominium project later this year. Tan says the company’s 12-acre plot in Bangi will be developed into 74 units of 2- and 2½-storey Bangi Lake Hill Villa. The building plans for the project have been approved and it will be launched in May. The units will be priced from RM880,000 to RM1mil. In Seremban, the Mont Jade residential enclave comprising 243 semi-detached houses and bungalows will be launched in March. The semi-detached houses will be priced from RM450,000 and bungalows from RM500,000. OSK Property’s joint venture with Menang Development Sdn Bhd to develop 80 acres in Seremban 3 is at its tail end with a total of 547 units built to-date and another 147 units remaining units. In Sungei Petani, the company has completed half of the 2,500 acres of land it owns in Bandar Puteri Jaya. A total 25.000 housing units worth a GDV of RM1bil have been completed. The balance RM1bil in property units will be undertaken over the next five years. Meanwhile, on the company’s plans for Atria Damansara in Damansara Jaya, Tan said: “Our plan is to redevelop the property into a more upmarket retail and commercial destination for Petaling Jaya folks. The modern shopping mall will have gross lettable area of 1.3 milion sq ft and also some low-rise shop offices. “The development order has been obtained last year and the redevelopment is expected to kick off late next year. The potential GDV of some RM1bil will be realised by 2012,” he adds. Last February, OSK Property sealed the deal to purchase Atria Damansara shopping complex located on 5.48 acres for RM75mil. Currently some 68% of the space in the complex have been leased out for a monthly rental income of more than RM8mil. “We will retain some of the property for lease to generate recurring income while the rest will be for sale. The oroject is expected to revive the vibrancy of the Damansara Jaya commercial area into a more happening destination,” Tan says. Although major construction material costs have come down recently, analysts are mixed on the outlook for the price of cement this year. An analyst said that theoretically, the cement price in 2009 should increase given that the prices of coal and electricity, which are vital for cement production, would be higher than last year. “But we expect cement price to remain the same this year, as the global economic uncertainty and external factors were pressuring the local manufacturers from increasing the price,” she tells StarBizWeek. However, another analyst from a multinational firm predicted otherwise. He opines that cement price will fall because its raw material costs had come down. He says the price has not declined like other products because the cement industry is more localised and, therefore, domestic manufacturers have more control. After the cement price liberalisation on June 5 last year, he says import volumes have remained small due to the high logistic costs. Currently, he adds, the local price has risen about 27% to RM280 per tonne from RM220 early last year. Cement Industries of Malaysia Bhd chief financial officer Rozahan Osman says demand for cement in the region will grow 1% to 2% this year if major infrastructure projects progress as planned and residential projects recover as predicted. “Cement demand contracted in the second half of 2008, while the full year growth rate is expected to be around 3% compared with 8% growth in the first half. We expect demand to recover in the second half of 2009. “Cement price could only be lowered when prices for major production input, such as coal and production consumable prices, are lower,” he says. Meanwhile, Cement and Concrete Association of Malaysia executive director Grace Okuda says market forces of supply and demand will determine the price of cement. She says unless the government speed up the implementation of the stimulus packages, especially on infrastructure projects, cement demand will continue to slow down. “However, we expect demand to recover latest by the fourth quarter. Currently, there is no cut in production yet and as there is no retrenchment in the cement industry. Manufacturers are looking for new markets to mitigate the domestic slowdown,” she says, adding that presently, only a small percentage of the domestic production is for export. According to Okuda, cement price had not risen from 1995 to late 2006. In December 2006, it rose only 10% although production costs had risen by 31%. Since then, its price had gone up twice - 15% to 20% in June and about 8% in August last year. The increases were due to an unprecedented 63% hike in diesel price and 26% rise in electricity tariffs. She says the association has informed the Government of the industry’s concern and hopes it will reduce electricity tariffs. Investors are spoilt for choice in their search for yield as many shares and most of the real estate investment trusts (REITs) offer dividend yields in the high single digit to low teens. Like their counterparts in the developed markets, however, they are also scared and uncertain if both the yield and capital value of REITs will hold. A sell-down in REITs that intensified in December have pushed their unit prices lower and, therefore, lifted their yields. Axis REIT, for instance, fell from a 52-week high of RM2.00 and from RM1.20 in late November to RM1.00 less than two weeks later. It has since recovered to around the RM1.20 level. Such price fluctuations may be the norm in these volatile markets but retail, and even institutional investors, did not expect prices for REITs to swing like that. Typically, REITs have tenancies leased for a number of years in contrast with trading businesses in which revenue varies from day to day or contract to contract. REITs, of course, face the property market risk of tenants moving out and in the global credit crunch, the risk in rolling over their loans. Prices of REITs also fell in the general sell-off of securities by investors going into cash. As a result, Axis REIT was carrying a historical yield of about 13% for 2008, annualising its nine-month income distribution. REITs in Singapore and Hong Kong showed similar, or even higher, historical yields as their unit prices fell further, reflecting the greater risks in the property markets there. Starhill Global REIT, the former Macquarie Pacific REIT, listed in Singapore, shows a historical yield of 13.6% with its units traded at 52 cents. That is still much lower than the 82 cents a unit that YTL Corp Bhd paid for a 26% stake in the REIT. Furthermore, the REIT now has the support of the very large YTL group. On Dec 23, Starhill told the Singapore Exchange it is consulting its legal advisers to assess Future Revolution’s and Futuregement’s ability to meet their obligations to the REIT’s properties in Japan. Future Revolution and related entities directly occupy 33% of the space in Starhill’s Japanese properties. The bulk of Starhill’s properties are, however, in Singapore. Fortune REIT, with retail properties in Hong Kong but listed in Singapore, was yielding as high as 18% for 2008, one of the highest in the sector. The REIT is sponsored by Cheung Kong (Holdings) Ltd, the flagship company of Li Ka-shing. Interestingly, a report by Macquarie Research forecasts Fortune REIT’s high yield will be sustained this year. A yield of even 10% is very high for any asset class and if the Malaysian REITs can sustain their current yields, this is a rich field for investors in search of income. The window of expansion for real estate investment trusts (REITs) has closed for the time being as their high yields preclude the possibility of any yield-enhancing acquisitions. When the stock market was buoyant last year, prices for the units of REITs were higher and their yields were thus lower, at around 7% and even as low as 3%. With that, it was possible for REITs to purchase properties that yield 8% to 9% and that would increase the yield of the trust. With current yields of about 10% in the REITs, any purchases of properties with yields below that would reduce the trust’s yield. It appears that even where the REIT promoter thinks it will be fruitful to purchase a property with a yield lower than the trust’s, shareholders may reject it. That happened at Atrium REIT which proposed to purchase an industrial property for RM17.8mil cash from a related party. This is not unusual because sponsors provides a pipeline of properties for many of their REITs. However, as the property offered a yield of 8.75%, lower than Atrium’s own yield that was then about 10%, minority unitholders rejected the purchase resolution at an EGM in November. The financing window for REITs is also, for the moment, closed. REITs need to issue new units to raise capital now and then so as to raise their borrowing capacity and to repay loans. REITs are regulated to maintain borrowings below 50% of their total assets but they do not retain the cashflow to repay their loans. They normally pay out 90% of their income so as to qualify for tax exemption, which leaves very little for loan repayment. Some REITs have a policy of distributing 99% of their income. With the units of some the REITs trading below their par value and a lack of institutional interest, REITs will have to wait for markets to improve before they can substantially expand their asset size. Real estate investment trusts (REITs) are pitched to retail investors, including moms and pops and retirees, that they are a handy alternative to owning a house or condomium for rental income. In a REIT, maintenance and tenancies for the properties are handled by a manager whereas an individual, buying a house to rent out, has to look for a tenant, ensure rents are paid and done so on time, and he has to take care of repairs and maintenance himself. REITs are, therefore, appealing to busy investors and retirees who do not want the drudgery of that work. The price performance of REITs last year, however, show it does not mirror that of real properties. While a house of RM500,000 has held up its value so far, the value of REITs would easily has lost 50% in the last 12 months. The first difference is that REITs are listed in stock markets and, like all listed securities, are subject to a sell-down whenever there is fear. Secondly, REITs in most markets finance their property purchases with short-term loans. This exposes them to risks of banks willing to refinance and higher interest rates. This is an aspect not considered by many retail investors even if the facts were made known by the REITs in their prospectuses. Would they buy a house with a loan repayable in five years or less? Probably not, but that’s the characteristic of a REIT. In some cases, a REIT may have its borrowings due within the year. The reason for a preference for short-term debt could be that interest costs are lower than long-term debt, which boosts the bottomline. If REIT prices move up, they can issue more units to pare down debts, or make more purchases. Last week, investors in Singapore heaved a sigh of relief that CapitaCommercial Trust, a REIT managed by the CapitaLand Ltd group, obtained a three-year loan of S$580mil at a very favourable rate of about 4% a year to refinance a loan coming due in March. Earlier, there were concerns that banks might charge 7% or 8% which would knock off a lot of its income. In the US, some REITs have even failed altogether. By now, retail investors are aware that investments in REITs have to be managed the same way as their equity investments, with potentially the same risks. Although a new year has dawned on us, coming to terms with the Dec 6 landslide in Bukit Antarabangsa will not be easy for the aggrieved parties. There is a need for more cohesive and concrete measures to mitigate the losses and sufferings brought on by such calamities. Various calls have been made by concerned groups, including members of the public and non-governmental organisations, for proper guidelines on hillslope management to be in place. With vast tracts of hilly terrain dotting the whole country, Malaysia certainly needs top-notch hillslope management expertise and guidelines to ensure they are properly managed and are sustainably maintained for future generations. Prudent hillslope management to adhere to slope-safety management and warning system should involve all relevant parties – the local authorities, landowners, developers, and residents. Unsafe slopes must be rectified on a timely and regular basis. Although landslide-related disasters are not a daily occurence, there is a possibility of more such mishaps and there is simply no time to lose. The sooner we come to terms with the seriousness of the problem and seek ways to address it the better. The changing weather conditions in the country, prolonged heavy downpours and rampant clearing of land and felling of trees to make way for development, have all contributed to the current deterioration in our hill slopes. The landslide in Bukit Antarabangsa was not the first time that such a muishap had happened in the country and it would certainly not be the last. In the last 15 years, there were 13 major landslides in the Hulu Kelang area, of which five were in Bukit Antarabangsa. Studies by the Public Works Department predict that more will occur. Some say the increasing number of such incidences is Mother Nature’s way of venting its wrath on mankind for failing to take care of the environment. Chairman of The Hillslope Development Task Force of the Real Estate and Housing Developers Association (Rehda) Selangor branch, Datuk Eddy Chen has called for a dedicated federal agency that is empowered to issue and enforce guidelines and standards for hillslope management, approve hillside development and monitor slopes. such a ban will affect many landowners and developers as the provisions for contingency losses will have serious consequences for many public-listed companies. A survey conducted by Rehda Selangor branch estimated that 4,500 acres of hillside land, valued at about RM1.4bil, are involved. Besides getting property owners to seek insurance coverage of their property from damages caused by landslides, it is also worth considering the setting up of a special fund where developers of approved hillside developments will make regular contributions based on sales of their projects. Like the cess contributed by palm oil industry players to ensure the industry’s stability, such a fund will provide financial resources to property industry players for recovery work in the event of any potential disaster or accidents. If the fund is properly structured, property buyers will also have to pay a nominal contribution to the fund which will be built into the purchase price. As shown in the massive damage caused by the latest landslide in Bukit Antarabangsa, it will be a small price to pay for developers and property buyers to have such a fund in place for a more orderly recovery scheme for victims of other future development-related mishaps. To return buyers confidence in the property market and ensure the success of such a fund, industry players should take up the initiative to promote it. Angie Ng is deputy editor of The Star and she believes that the authorities, industry players and the people have a responsibility to care for the environment and ensure sustainable development.